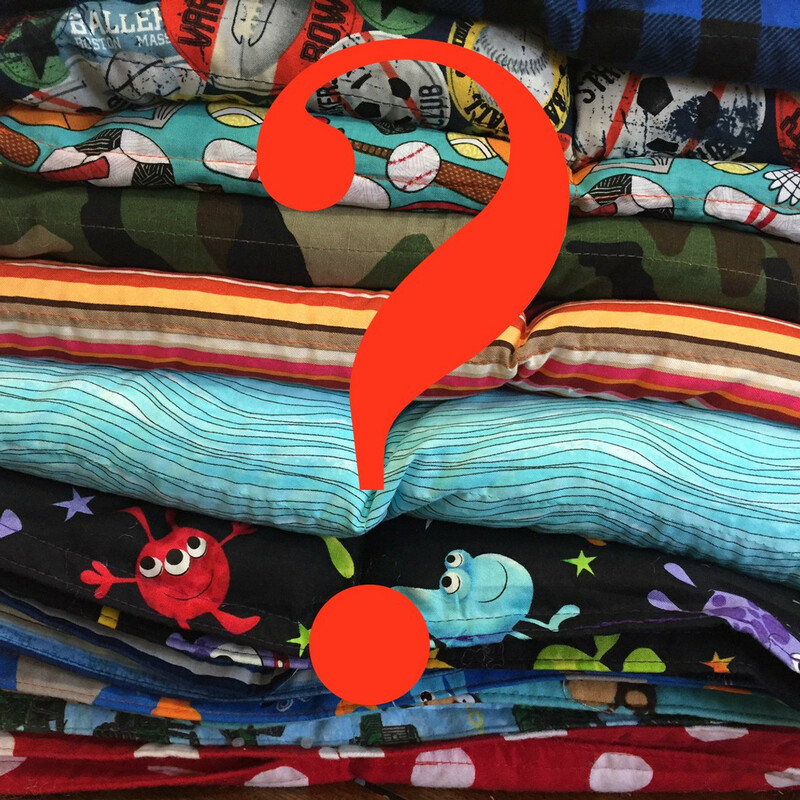 Who is Mosaic Weighted Blankets®? Mosaic Weighted Blankets® is based near Austin, Texas and was founded by Laura LeMond. 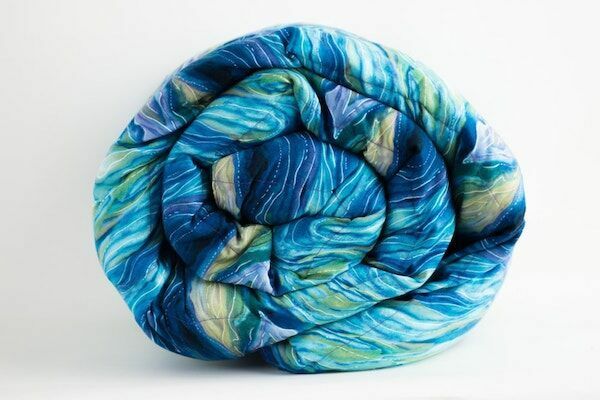 Laura was so impressed with the benefits of a weighted blanket that she founded Mosaic Weighted Blankets® to raise awareness for this simple, but effective way to solve many anxiety, stress, insomnia and other health related disorders. We ship our blankets worldwide to individuals, parents, grandparents and caregivers for children, teens and adults that need help relaxing and easing into calmer daytime activities, and who need longer and deeper sleep periods during the night. Over the last few years, weighted blankets have been making headlines in newspapers and television shows throughout the United States. Click here to see some of our own most recent news stories. Since it's founding in 2011, Mosaic Weighted Blankets® has developed an excellent reputation, offering its customers the best weighted blanket, constructed from quality, non-toxic materials, and we invite you to read the thousands of positive reviews we've received. 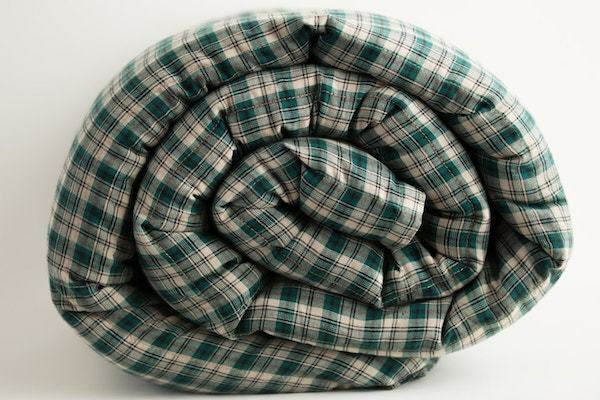 A weighted blanket can sometimes be referred to by other names, such as a gravity blanket, anxiety blanket, autism blanket, etc. 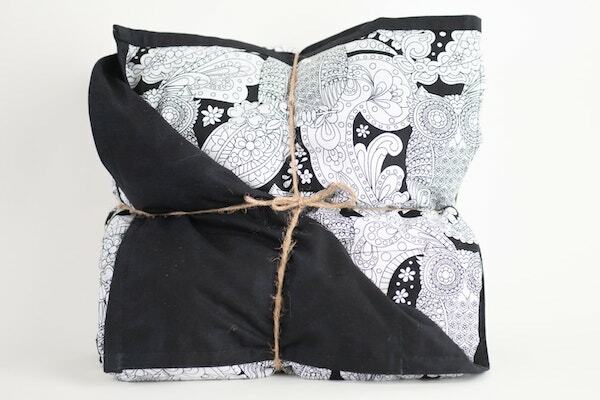 We're often asked if these are different than a weighted blanket. These are all weighted blankets, operating in the same manner, using weight in the blanket to help relieve symptoms of stress, anxiety and more. What Disorders Does a Weighted Blanket Help? 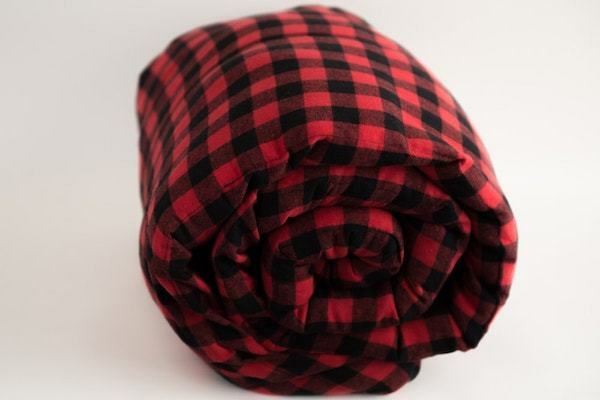 A weighted blanket can be a very effective, organic solution for helping children, teenagers and adults that suffer from a wide variety of anxiety, stress/tension, attention deficit, insomnia and other related disorders such as Alzheimer’s Disease, Asperger’s Syndrome, Autism Spectrum Disorders (ASD), Attention Deficit Hyperactivity Disorders (ADHD), Anxiety Disorders, Bi-Polar Disorders, Cancer Anxiety, Fibromyalgia, Insomnia, Pervasive Developmental Disorders (PDD), Post Traumatic Stress Disorders and Restless Leg Syndrome. Where are Mosaic Weighted Blankets® Used? 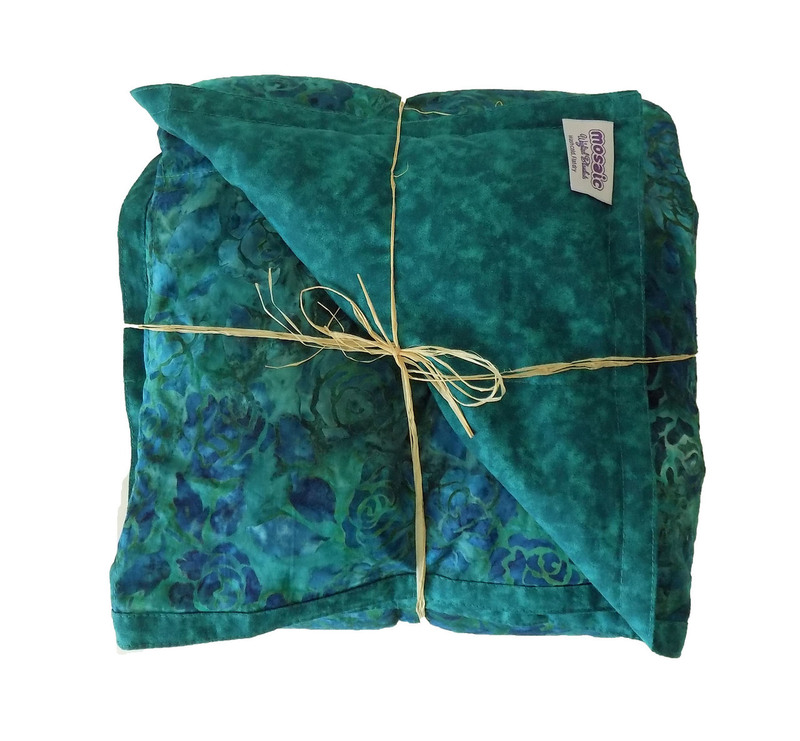 Our weighted blankets are most often purchased by women, men and children looking for natural, non-toxic effective relief from every day stress and anxiety. In fact, we created our anxiety blanket for just that purpose. Our anxiety blanket uses DPTS and has helped thousands who are looking for relief from stress and anxiety. 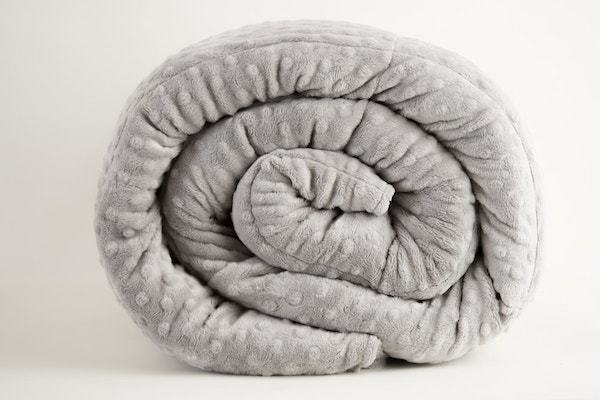 Weighted blankets are also very popular in the education and healthcare industries among occupational therapists, pediatric therapists, schools, hospitals, sleep disorder clinics, sleep research facilities, dentists, chiropractors, psychiatrists, psychologists, pediatricians, sports rehabilitation centers, hospice cancer centers, long-term care facilities, retirement homes, special education centers, crime victim centers, accident victim recovery centers and soldier family care clinics. Corporate customers receive volume purchase discounts, which are available by calling (512) 514-5529 or click here to send us an email. When is a Weighted Blanket Recommended? 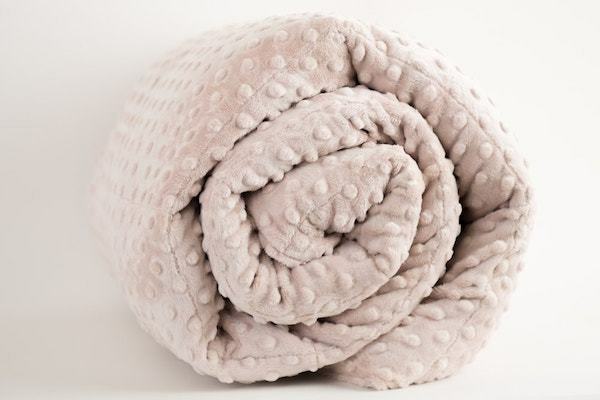 We do caution against purchasing a weighted blanket for toddlers, as a weighted blanket is not recommended for children under the age of three. 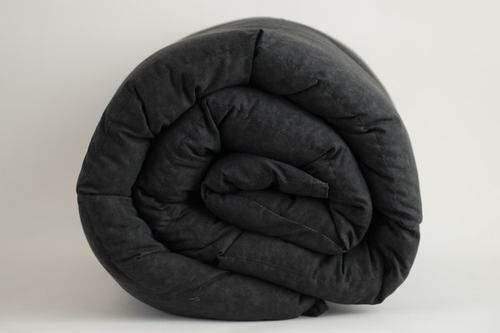 The most important consideration when buying a weighted blanket is the customer’s body weight. The weight of the blanket should not be greater than 10% of a person's body weight, plus one or two pounds. Weighted blankets should never be too heavy to remove by the patient and should never be used as a restraining device. Always check with an occupational therapist or healthcare professional when you're purchasing a weighted blanket to aid with medical disorders. Weighted blankets use DPTS to raise serotonin levels in the brain, helping to promote a sense of well-being, calm & relaxation. As our society grows increasingly inundated with environmental stimuli, many are finding it harder to unwind and relax. The number of Americans suffering from stress, anxiety & insomnia is staggering - over 40,000,000 and unfortunately that number isn't slowing. 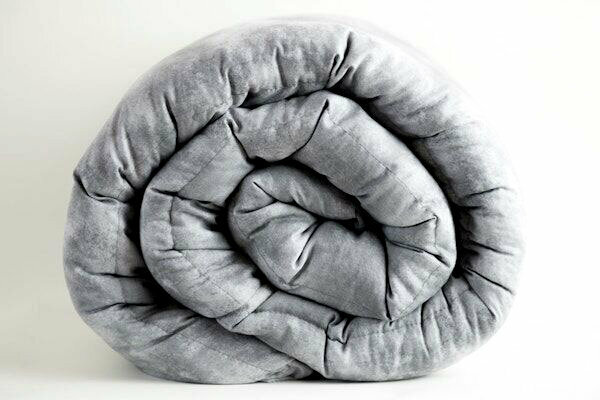 A weighted blanket provides non-toxic, effective relief for those seeking a natural solution to every day stress and anxiety. The benefits of a weighted blanket can be traced back to the Mother's womb. Before entering the world, an infant is held tight inside the womb where they are shielded from sensory perceptions. As children grow, most learn to adapt to new environmental stimuli, such as light, sounds and movements. Some babies do not adapt well to their new environment and suffer from sensory processing disorders. Sensory Processing Disorder is a term used to describe the inability to efficiently and correctly process sensory information coming to the brain from the environment. Touch, taste, smell, sight and sound are most frequently referred to as the senses, however the body also senses movement, force of gravity and body position through the muscles and joints. Children, teens and adults with Autism do not regulate sensory input well, which is referred to as Proprioception. 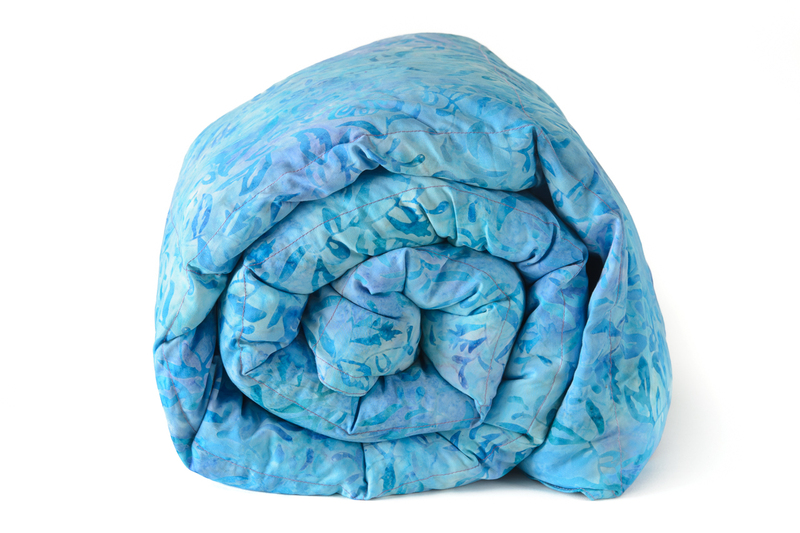 Children with Sensory Processing Disorder often benefit from a weighted blanket to help their body organize and process sensory input so that they are less restless and fidgety and allow most individuals to sleep better during the night. How Much Does a Weighted Blanket Cost? Compared to a good night's rest, our weighted blankets are very cost effective. Many customers will tell you that after going to bed with one of our blankets that they enjoyed their first night of deep sleep in years. 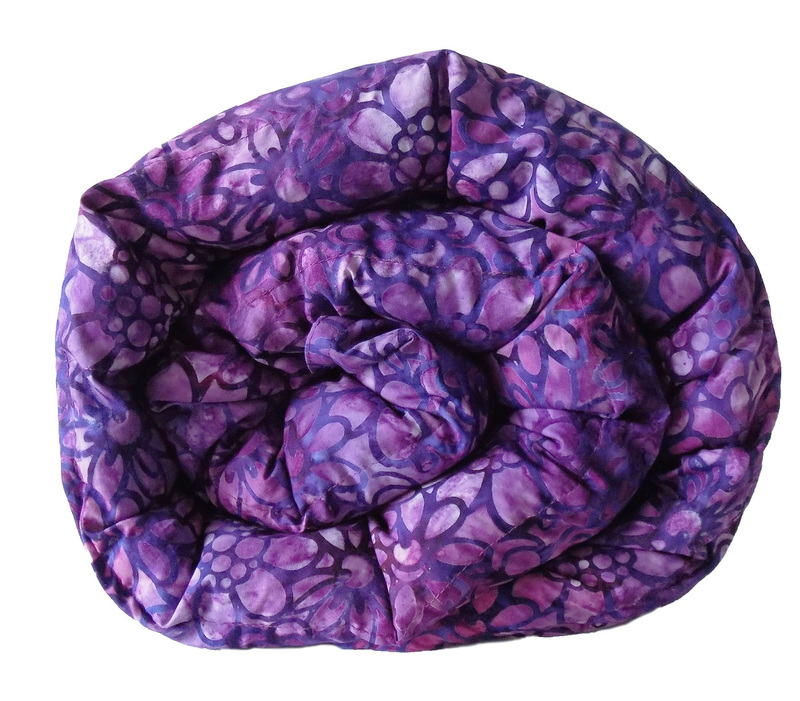 Mosaic Weighted Blankets® are manufactured with highest quality fabrics and weights. 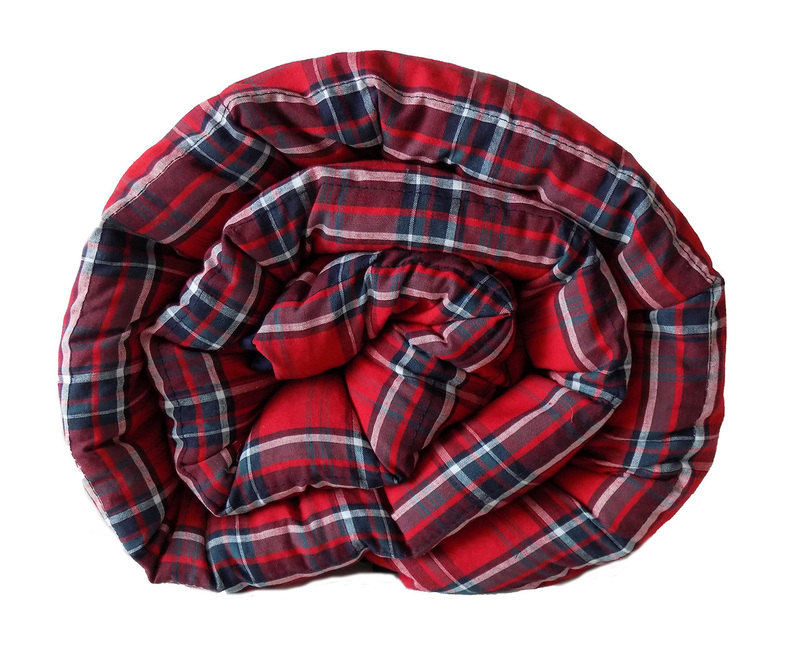 Blankets range in cost based on size, material, weight and fabric selected. Click here to shop through our Mosaic catalog of weighted blankets and lap pads. 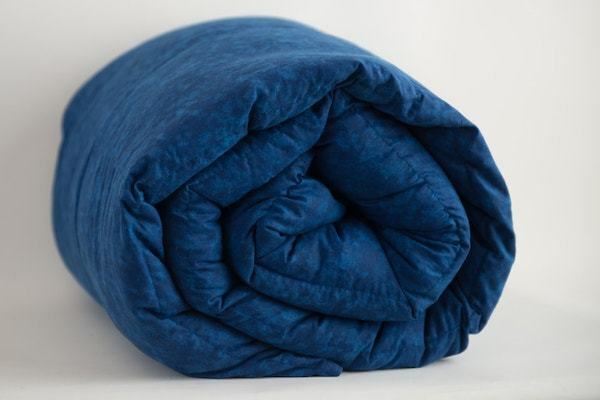 Yes, for most customers a weighted blanket offers a soothing, calming, deep pressure therapy that helps customers relax and concentrate during the day and sleep better at night. 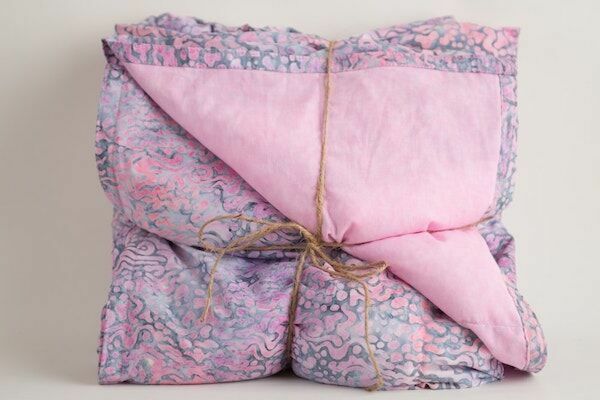 If your child has a tendency to wear very tight clothes during the day or roll them self up in sheets or blankets like a burrito or taco to sleep at night, a Mosaic Weighted Blanket will offer them the relief they have been intuitively seeking.